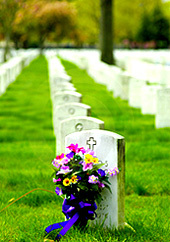 Are you looking for funeral poems for your loved one's funeral arrangement? Reading a beautiful poem is a fantastic idea to show how much you love your loved one in his/her funeral - even more special than funeral flowers. There is something special about poems as you may know. Poems have the power to show feelings and love much more than bare words can do. So when you read a memorable loving poem at the funeral for your loved one, everyone will really feels the depth of your words. There are two ways to get funeral poems: you can either write it yourself to be totally unique, or you can easily use some amazing similar funeral poems that you can find online. So here is a collection of top in loving memory funeral poems - picked from various resources and authors. So you can find the perfect poem you like. You can find a list of the best chosen poems above. Simply click on the related category to see the poems. Planning a funeral may not seem the easiest task, but the good news is, when you know exactly which steps to take, everything will look so simple. All will just fall into place. So it's important to have a step by step guide to help you go through all the process easily and successfully. 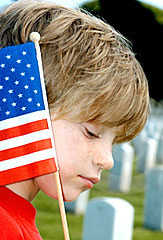 Planning a funeral or memorial service requires what can seem, at times, a daunting task. There seem to be a countless number of decisions to be made. The following checklist for funeral arrangements is designed to guide you through the number of things that you must decide on. 1. Will it be a funeral or a memorial service? At a funeral the body is usually present. At a memorial service it is not. 2. An obituary is needed to be written. 3. Are you going to use a casket for the body, or will there be a cremation? Find out about discount caskets. 4. If you are using a casket, where will the burial be? If having a cremation, will the ashes be stored in an urn, or scattered? 5.	Who will officiate the service? Minister, family friend, funeral celebrant? What type of service do you want? 6. Do you want to have a powerpoint or video presentation of photographs of the life of the deceased? 7. Do you want someone to give an Eulogy. If is a welcome addition to the service but not absolutely necessary, particularly in a religious service. Also see an example of a funeral resolution. 8. Where will the service be held? It can be in the funeral chapel, a church, a hotel, in a park. 9. Will you have a reception after the service? Where will it be? Who will cater it? 10. Flowers by the family are traditionally ordered for delivery to where the service is being held. Check out this free article on types of funeral flowers and how to prepare the perfect flowers. 11. Are there special songs you would like played, as people enter, during and after the service. Do you want an organist, a harpist, a band, a flutist? Is there recorded music you would like played? 12. Any particular Bible readings you would like. Who will read it? Check out these funeral bible readings to get more easy ideas. PIPPIN: "I didn't think it would end this way." GANDALF: "End? No, the journey doesn't end here. Death is just another path, one that we all must take. The gray rain-curtain of this world rolls back, and all turns to silver glass, and then you see it." PIPPIN: "What? Gandalf? See what?" GANDALF: "White shores, and beyond, a far green country under a swift sunrise." PIPPIN: "Well, that isn't so bad." "Death, when we come to consider it closely, is the true goal of our existence. I have formed during the last few years such close relations with this best and truest friend of mankind, that his image is not only no longer terrifying to me, but is indeed very soothing and consoling! "